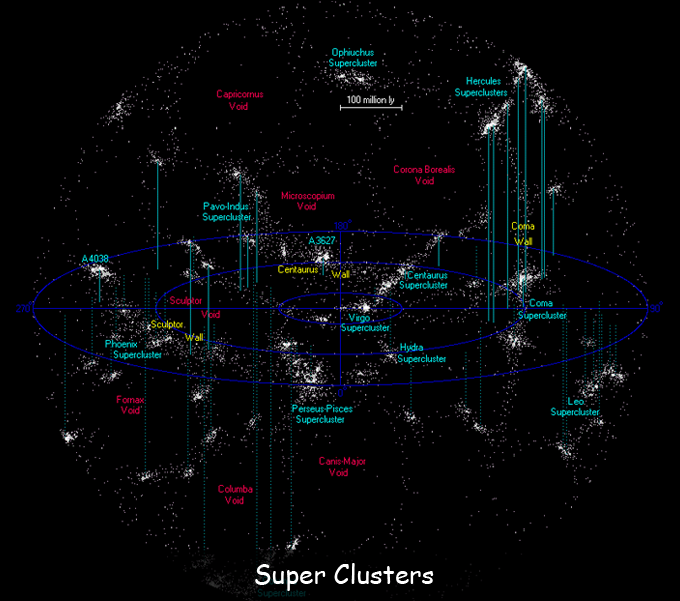 Super clusters are made up of many different galaxies. Some hundreds, some thousands, some hundreds of thousands. 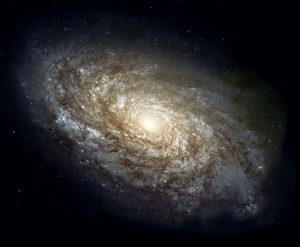 Galaxies are not spread out in the universe at random, but more packed together in groups based on where in the universe they started to form. But we don’t know if these clusters are exactly altogether like the way they look, as we don’t really know if gravity keeps these clusters together. We like to put these together and call them groups and clusters to try make sense of it all. Confused!! We will explain further below. So what you would know now is that while there are billions of stars and billions of galaxies, there are also great big spaces of nothing between all of these things. So when scientists are observing the universe and galaxies they see large empty spaces and then clusters of stars. This makes for looking at space, kind of like looking at a sponge in your kitchen for washing up. Well, try and see, and you will get the picture. 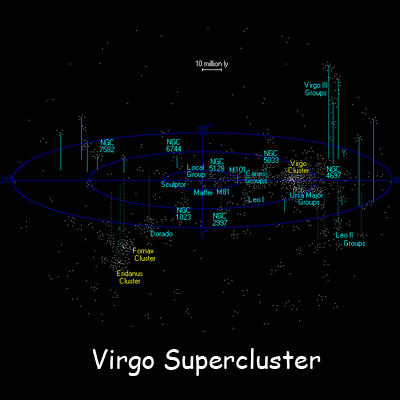 From what we can see in the ‘Observable Universe’ we know of around a massive 10 million or so super clusters. These are great big clusters of galaxies that are as far as 100 million light – years away. What makes galaxies super clusters is that over a very long period of time, galaxies collide to form these super clusters. One of the largest known super clusters in the universe is called the Sloan Great Wall. This is one of the largest known things in the whole universe. This structure alone is a massive 1.4 billion light – years across. # 2. The largest super cluster ever discovered is 60 times largest than the Milky Way. Q. 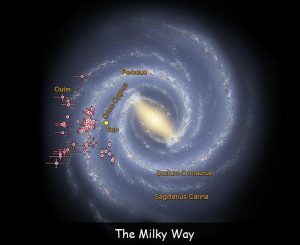 What super cluster does the Milky Way galaxy belong to? Q. 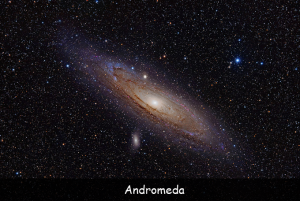 How much larger is the largest known super cluster compared to the Milky Way galaxy? Q. How many light years across is the Sloan great wall? Q. What are super clusters made up of? Q. 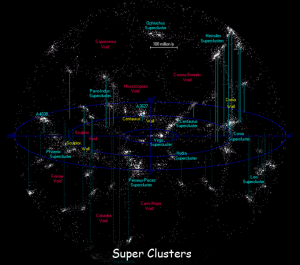 How many super clusters are there that are known currently? Key Vocabulary Universe. Big Bang. Galaxies. Super. Clusters.